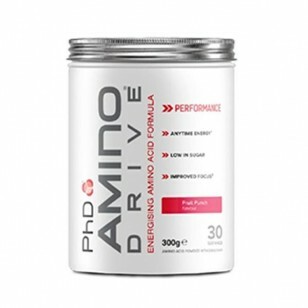 PhD Amino Drive is one of PhD’s finest and new products. It is formulated with 100mg per serving of caffeine to give the body a quick energy boost and help improve focus. You could receive 100 Slimming Points for writing a review and/or rating this product. 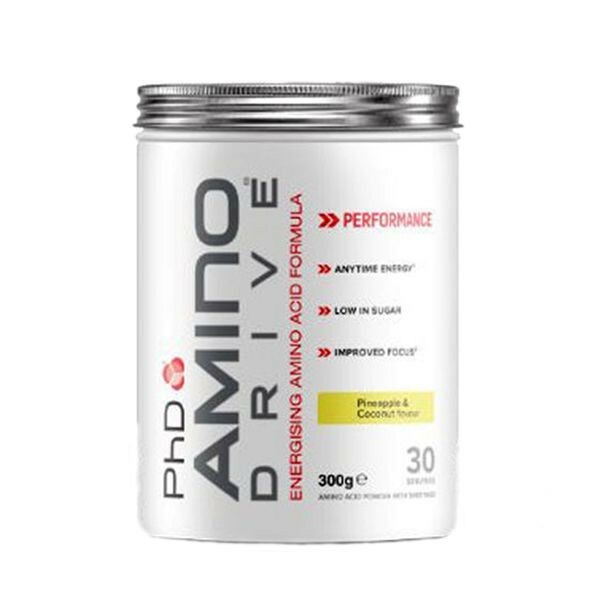 Although Amino Drive is not a pre workout, the caffeine makes it ideal for before high intensive training or any workout routine. 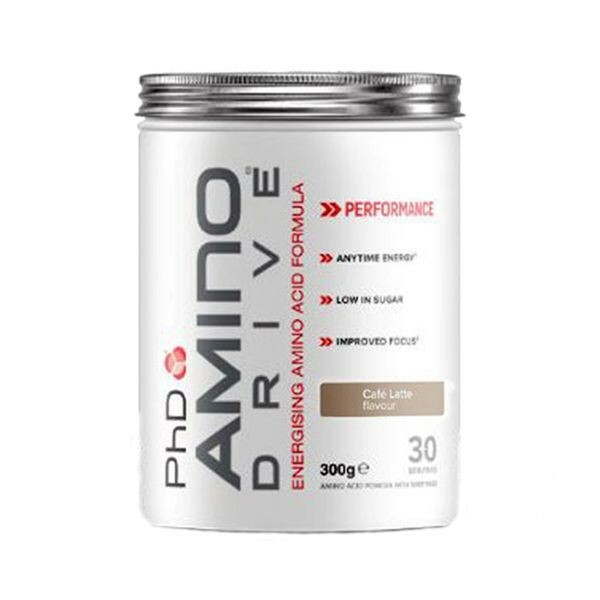 Amino Drive contains 7.9g performance-driven Amino Acid blend with Vitamin C. Amino Drive also contains all the 9 essential amino acids including Leucine, IsoLeucine and Valine which is promotes lean muscle growth, this makes it anytime muscle food and energy booster drink with low sugar. 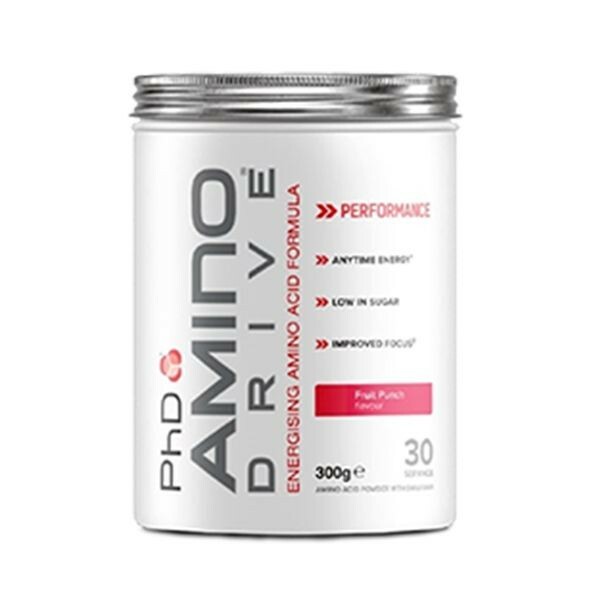 Amino Drive is especially formulated to improve the immune system, body and mind. Available in 3 flavours Café Latte, Fruit Punch and Pineapple & Coconut. Use up to 2 servings of Amino Drive daily. Mix 1 scoop (10g) of Amino Drive Powder with 300ml of water and shake or blend for 10 seconds. Use up to 2 servings of Amino Drive daily. 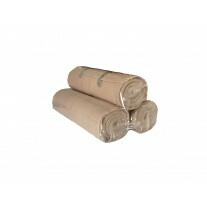 Amino Drive cafe latte is made with Arabica coffee beans, for a great coffee taste. Mix 1 scoop (10g) of Amino Drive powder with 200ml of unsweetened almond milk and shake or blend for 10 seconds. Earn 10 Slimming Points for each approved tag you make. © Clay4all.co.uk. All Rights Reserved.